I've stopped and started this blog again and again. Each time with another excuse to keep me away from catching up and posting. Death in the family, loss of a job, too much work, too much stress, death of my beloved pet. It's always something. So I'm leaving this last post here. Partly because I don't have time to try to figure out how to make a landing page. And partly because I still get lots of page views each day from Pinterest or Buzzfeed traffic. If you're stopping by from an external link, thanks for the visit! Feel free to look around. I have a lot of older posts with some fun tutorials (check the DIY tab on the side for a quick link). And if you were a follower for some time and a commenter at any time - I thank you for coming around when you did. I had fun with this blog for a few years. I just can't make it successful while trying to have my corporate career. The honest truth - I don't have the energy. I hope to return one day - probably with some other variation of this blog. Hopefully it will include our new adventure in farming. It's a few years away, but I'm looking forward to giving up corporate life and working with my hands until I'm too old to stand. Maybe I'll see you then. But for now, I figured I should do a proper sign off. I'm still on Instagram and Facebook (rarely). And for the time being, my shops are still on Etsy, although they're not super active as I haven't had much time for making anything but a paycheck and midsection (I need to get back to the gym!). Thanks for everything, blog friends! This has been such a great outlet for me. Being an introvert, it's difficult at times to open up and meet new people. 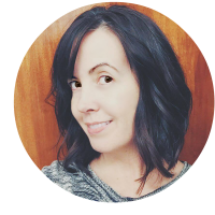 I'm lucky to have had my little corner of the blogosphere to share with you! I've always been a bit of a couch potato and NetFlix streaming doesn't make it any easier on me! I've finished The Fall and Downton Abbey. And since Orange is the New Black is still a few months away, I need my old standbys to fill the time. But this year there are already a couple of new shows that have caught my attention. Better Call Saul (AMC) - If you were a fan of Breaking Bad (I was obsessed! ), then you'll want to check out this new series. It is basically the prequel to BB, where it follows Saul, our favorite attorney, in his early years before he met Mr. White. The series includes some other BB cast members who you might remember. It was created by Vince Gilligan and carries the same style of storytelling. Definitely one to watch! The Americans (FX) - This is not a new series, since it is now on season 3. But I feel like it's one not a lot of people are watching, although they should be! It takes place in 1980's America during the Cold War. The main characters are Russian spies, attempting to blend in to the normal American life, while carrying out their missions. Unbreakable Kimmy Schmidt (NetFlix) - Tina Fey wrote a new series which recently aired on NetFlix. It stars Ellie Kemper (The Office) and Jane Krakowski. I think of the main character as a female version of Kenneth from 30 Rock. It's about a young woman who was abducted by a cult member and forced to live underground. 15 years later she is rescued and attempts to start over in New York City. Impratical Jokers (TruTV) - This is another show that has been around for a few seasons. It follows a group of four real life best friends as they play practical jokes on unsuspecting folks. Their jokes are hilarious, especially the incredibly awkward or embarrassing moments. They each take turns playing jokes on people and are scored. At the end of the show, the loser is punished (example: interview your childhood crush while wearing nothing but a speedo and baby oil). My DVR is full of other shows each week, but these are my tops right now. What are you watching? 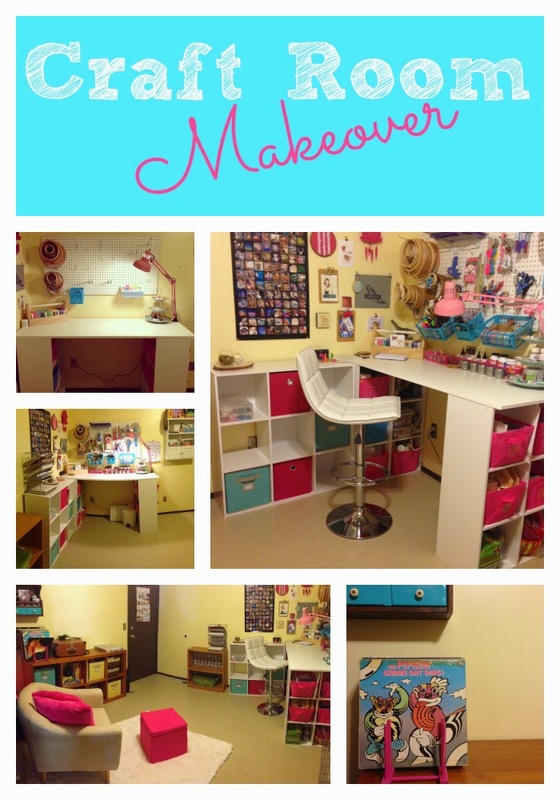 Last summer I embarked on a huge project - updating my craft room! Before Katie passed away, the room was basically her area with my stuff taking up about a quarter of the space. Due to a major lack of storage, most of my craft supplies lived in large plastic tubs which I kept stored in the pantry. 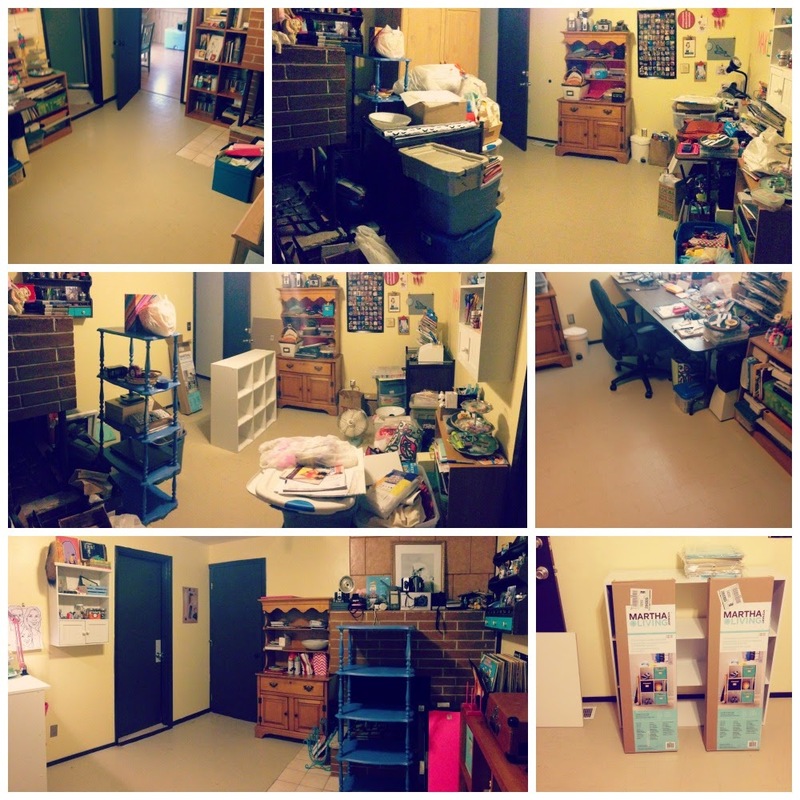 After Katie's stuff was moved out, the room was much larger and so empty. It was also depressing because my little fur monster was the one who gave it life and made it warm and inviting. I decided a drastic change was in order. I figured some bright colors would make it more cheerful. 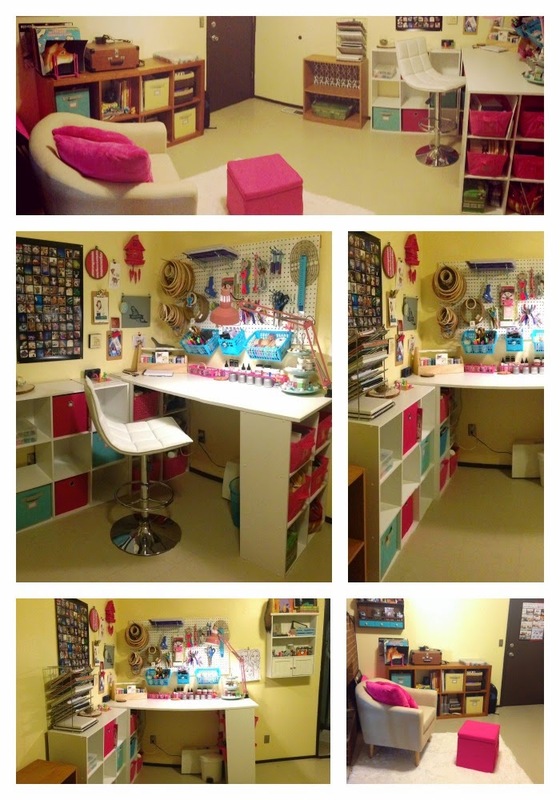 And allowing myself to take over the space would re-purpose it into a true craft room, instead of being thought of "that place where my fur-baby used to sleep". organize supplies so I know where everything is! The first thing I did was sell off the giant hutch that held my computer and all of the junk I stored in there. I also got rid of the huge, dark brown, 8 foot folding table. That thing was a beast that took up way too much room! I then took on the daunting task of going through tubs of craft supplies and getting rid of the ones dedicated to "projects I'll try one day" that I haven't gotten around to in years! I picked up a few storage cube bookcases and fabric storage bins. I also bought a large, white laminated sheet of plywood from Home Depot. Greg cut it down and added trim to the cut sides to make a table top over 2 of the bookcases. I also picked up a sheet of white pegboard for my vertical craft supply storage. This is probably my most favorite part, because the things I use the most are within reach when I'm sitting at the desk. Because I had some large pieces of brown wood furniture that were actually solid and nice, I decided to keep those and move them to the other wall. Basically my space is now broken up into two parts: the white/pink/blue craft space and the cozy nook with warm tones. For the warmer side, I bought fabric bins in pale yellow and blue instead of the bright colors of the craft side. I brought a plush, shag rug in white and made my little reading nook. I picked up a cute little chair and ottoman that fit perfectly in that space. 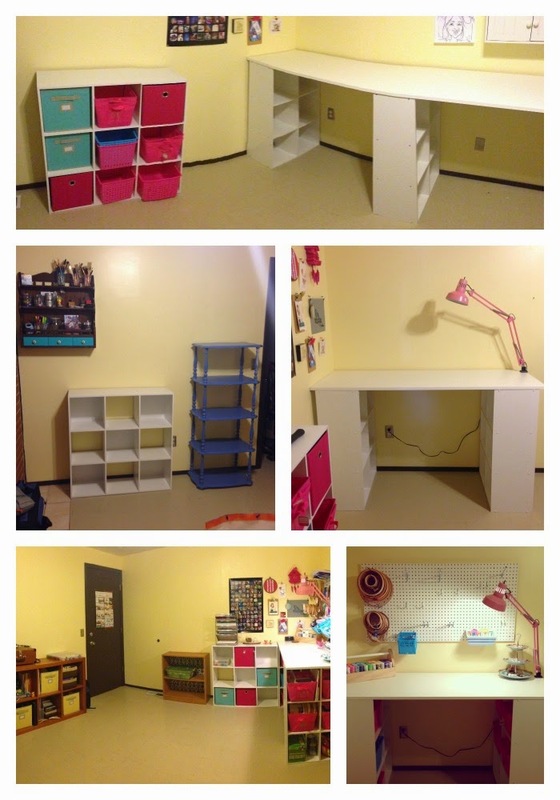 After these photos were taken, I completed a painting project on the blue shelves; you can see the before & after HERE! I've also since replaced the desk chair and my sitting chair. The white drafting chair was so cute, but not comfortable to sit on for long periods of time. The sitting chair was a little tough and the back was too short to lean into and really get cozy. So I found this comfy black with gold peacock patterned chair at Pier 1. It doesn't match my white + hot pink + blue, but it's super cozy! I also removed the pink paper from the back of the vintage hutch and moved it over to the small wall by the door. It currently holds my vintage camera collection and small shrine to Katie. The walls have still not been fully decorated, I have a lot more to add. I also have a couple of painting projects on the existing shelves that I hope to complete this summer. Another future project is to make my own ottoman. The pink cube is a bit flimsy and I use it more as my footrest under my desk, for when I want to stretch my legs. The biggest issue I still have is with my lighting. This is a rental house, so I can't make all of the changes I'd like to make (or at least, I don't want to spend my own money on it). But I am always on the look out for a brighter overhead light. I also need to pick up a floor lamp and small side table for my nook area, right now it's not the best light for embroidery and there's no place to set down the supplies I'm working with. But for now, it's cozy and functional and I can finally get to all of my craft supplies thanks to all of the extra storage! This is my last post in this blog series. I hope you enjoyed the last few posts and found something you might want to try for yourself. My last DIY project from Pinterest is one that has been popular for the last few years, especially amongst hipsters. From purses to tights to shoes, this technique has been done to death. But that didn't stop me from trying because I still think it's gorgeous! Before we dig into the results, let me be honest by stating I am NOT a painter! 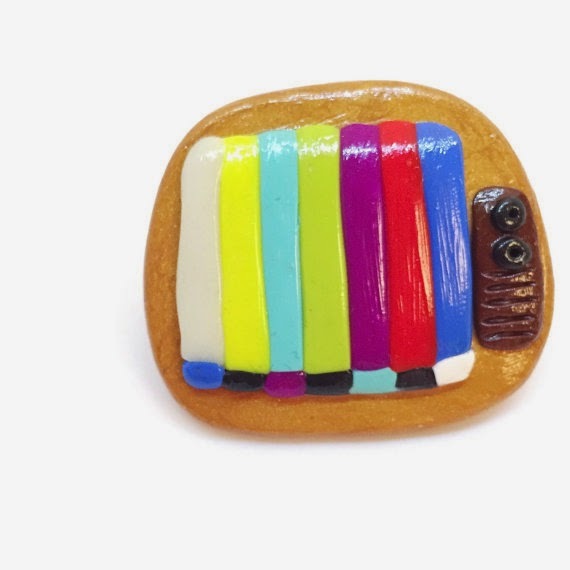 My main crafts are sculpting polymer clay and hand embroidery. Every time I paint something, I struggle with it. One day I hope to learn some basic techniques so I don't end up with something that looks like it was done by a third grader. But that time is not now; onto the results! There are a gazillion posts of finished projects and tutorials for galaxy painting. I looked at three different ones to get a better idea of how the artists achieved their final look. After a while, I gave up on research and decided to dive in and just try it. So I will call this Pinterest find a Win. Don't let some of the gorgeous final results discourage you from trying. Maybe start on paper until you have a good technique down. I would add more purples and reds to my next attempt. Either way, just have fun with it! 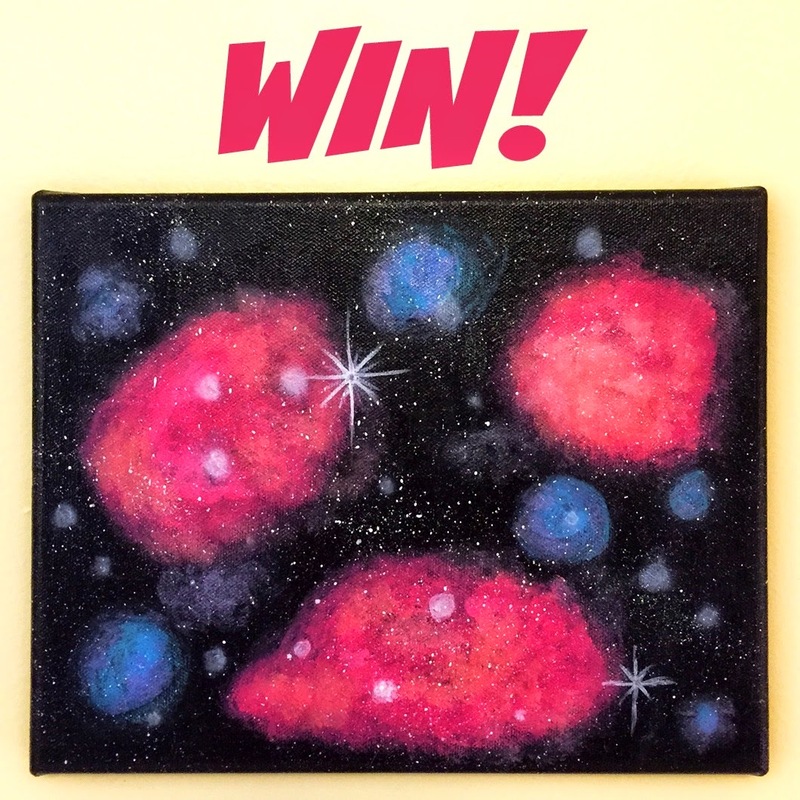 Have you tried a galaxy painting on anything yet? If so, do you have any tips for making it easier? That brings us to the end of my Week of Pinterest Wins and Fails. Thank you for taking the time to read through and definitely let me know if you try any of these DIYs for yourself. I'd love to see the results! A running joke Greg and I have with each other is that the closer we get to buying our future farm, the more "granola" we are becoming. But I promise one thing, I will never go full granola - I will always shave my armpits!! Also, I doubt I'll ever fully cut out processed foods because I don't think I can make Skittles as well as Mars, Inc. can! First, let me say that Pinterest is FILLED with granola cereal and bar recipes. I haven't tried the bars yet, but they seem fairly simple, so I think that will be my next attempt. You can find all different kinds of recipes for granola, including no-bake bars. The granola I made is baked for about 20 minutes and is a perfect topping for yogurt. You can also use it as a cereal, especially if you use more honey to create clusters. Since my first attempt, I have made 4 more batches of granola, all with tweaks for flavor. My favorites so far is vanilla honey almond. I think the next one I'll try will include peanut butter. 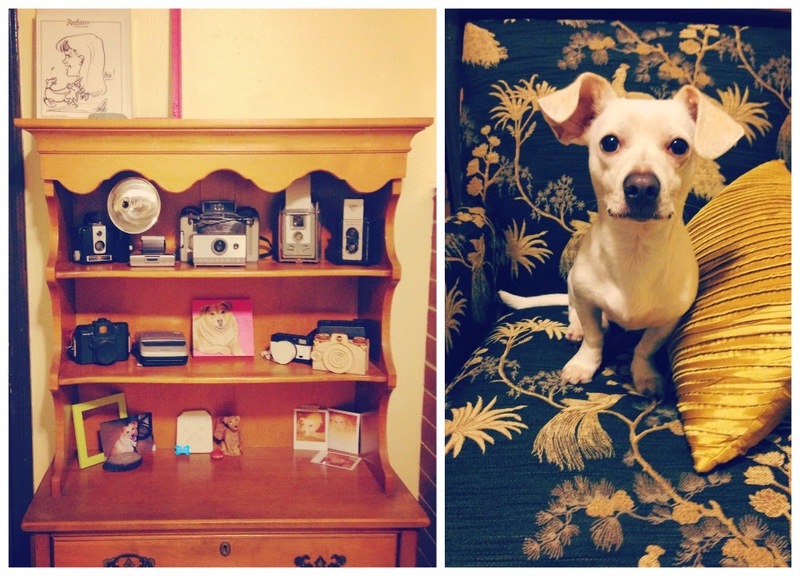 So if you couldn't already tell - this DIY was a total WIN! 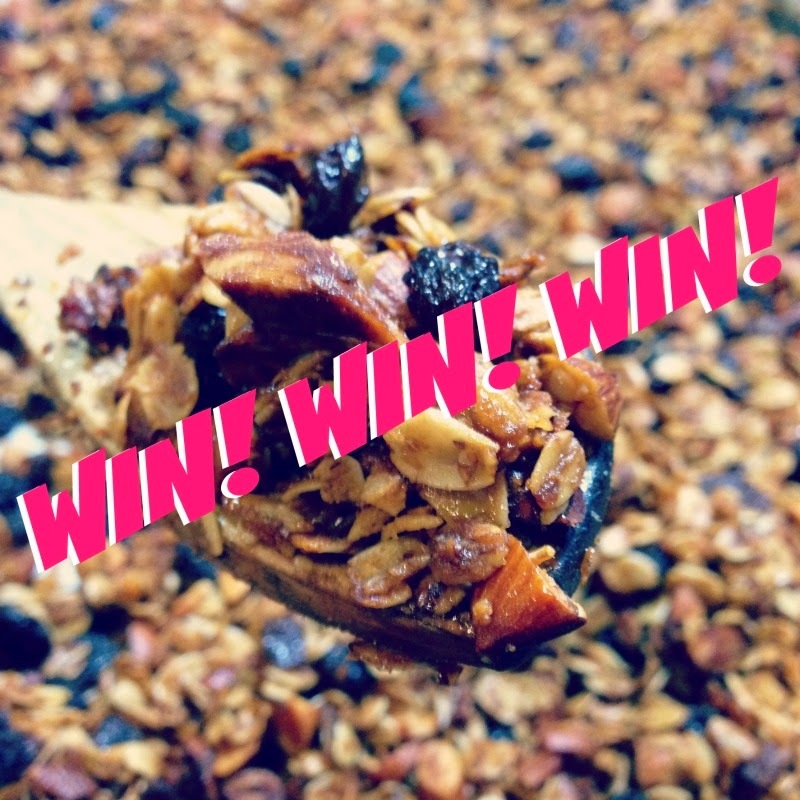 It is soooooo easy to make your own granola. I actually want to kick myself for not trying it sooner. When you think about how expensive a box of granola cereal can be (and you hardly get anything for that price!) it's really quite crazy that I've wasted so much money on granola over the years! I will never, EVER buy pre-made granola again! If you buy your oats at Costco in bulk, it ends up being so cheap to make. I would highly suggest you run to the kitchen and try making your own batch. I promise you will be so glad that you did! Have you made your own granola cereal or bars? If so, which recipe is your favorite? Come back tomorrow for my last post of this series and my attempt at a Galaxy painting! Lately I've been trying more DIYs to see just how well I can handle homesteading on my future farm. I still have my full time job and am not quite ready to pull back on the budget and simplify life, but it's fun to try different things like making my own cereal, granola, etc. This next Pinterest craft is not true down-on-the-farm homesteading, but it's a tiny step in that direction. Now here's where most folks will say "well you're not really making soap". 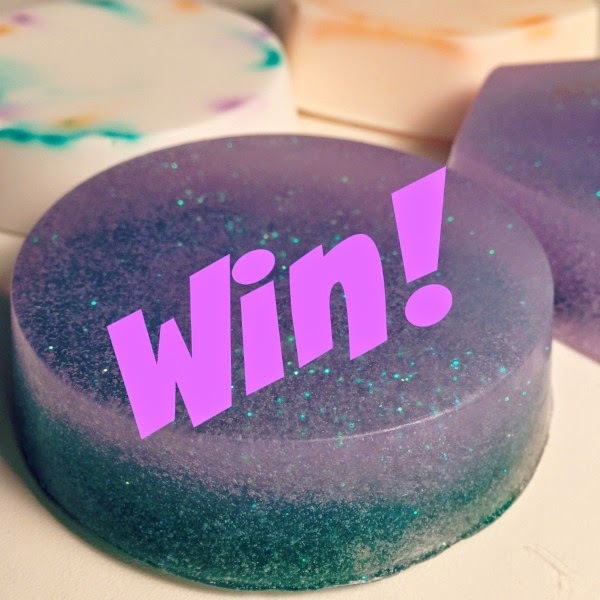 So let's call it what it is - re-purposing products to create soap! My mission for the future is to have a goat creamery on our farm. With all that milk, we plan to drink it, feed the chickens and pigs, make yogurt, cheese and soap! That soap will be made with a true soapmaking process. 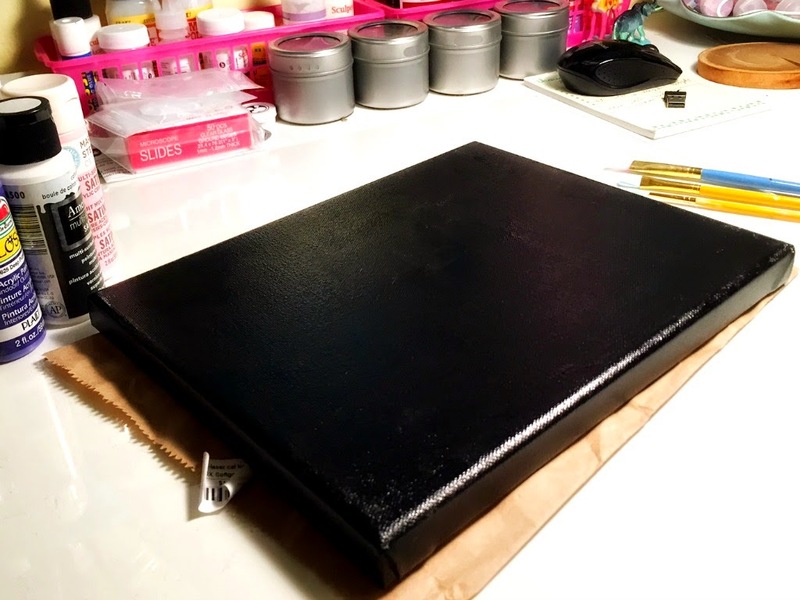 For this project, I used the melt and pour stuff you can buy at the craft store. I also added some color, glitter and essential oils for scent. I followed the instructions on the packaging to melt the soap blocks. It's fairly simple, just cut it up and melt it in the microwave! And I gotta say, it may not be true made-from-scratch soap, but it IS soap and I did make it by hand. It was also VERY easy and fun! I ended up giving away all of my soaps as gifts. But I can't wait to make more. Next time, I plan to buy some goat's milk and try the cold process technique. For now, I'll just consider this a total win, because Pinterest has several tutorials with ideas of color mixes and scents. And it really is just that easy. Do you make your own soap? If so, what is your favorite recipe or tutorial? Tomorrow, it's all about going granola! I ended up skipping town last week and headed down to Portland for an extended weekend visit with my niece. 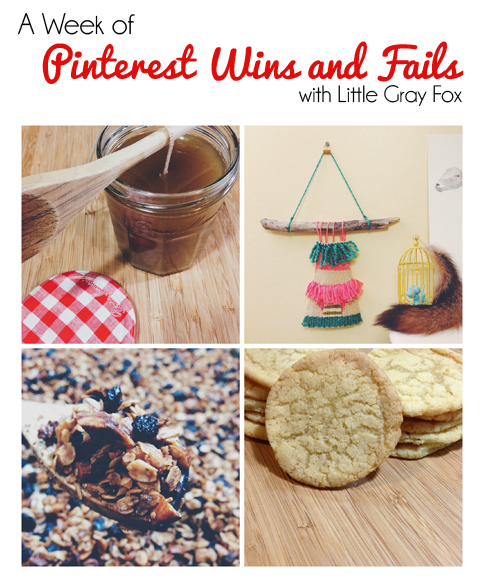 So I was unable to wrap up my Pinterest series. But now I'm back (Portland was gorgeous!) and ready to finish sharing my wins and fails with you! Oh boy, this one was a doozy! 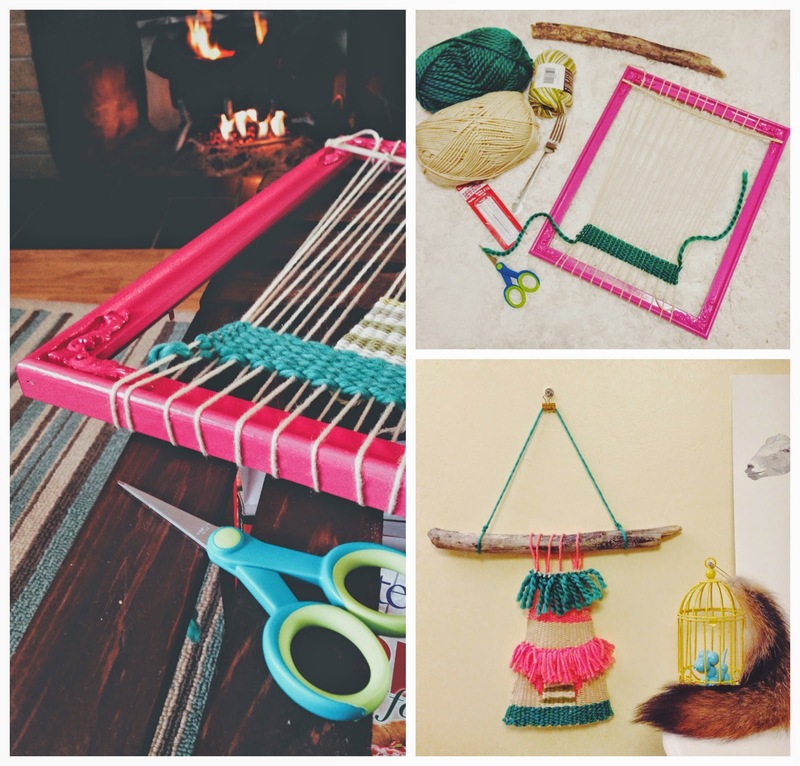 Weaving your own wall hanging is all the hippie rage these days. And with a large amount of beautiful Pinterest tutorials on the subject, I figured it was going to be really easy. Apparently, I am not a natural weaver, if that's an actual thing. Spoiler alert: I don't crochet or knit; I should have seen the outcome from a galaxy away! Since my main craft these days is embroidery, I didn't have any yarn on hand. What a shame, guess a trip to the craft store was necessary (wheeeee!). I bought some fun yarn, not having any clue about what would work best. I also picked up some larger needles. The tutorials were fairly easy to follow along with. I think my biggest obstacle was with tightening each row. I'm pretty sure I used every bit of muscle to yank the yarn through to the other side. 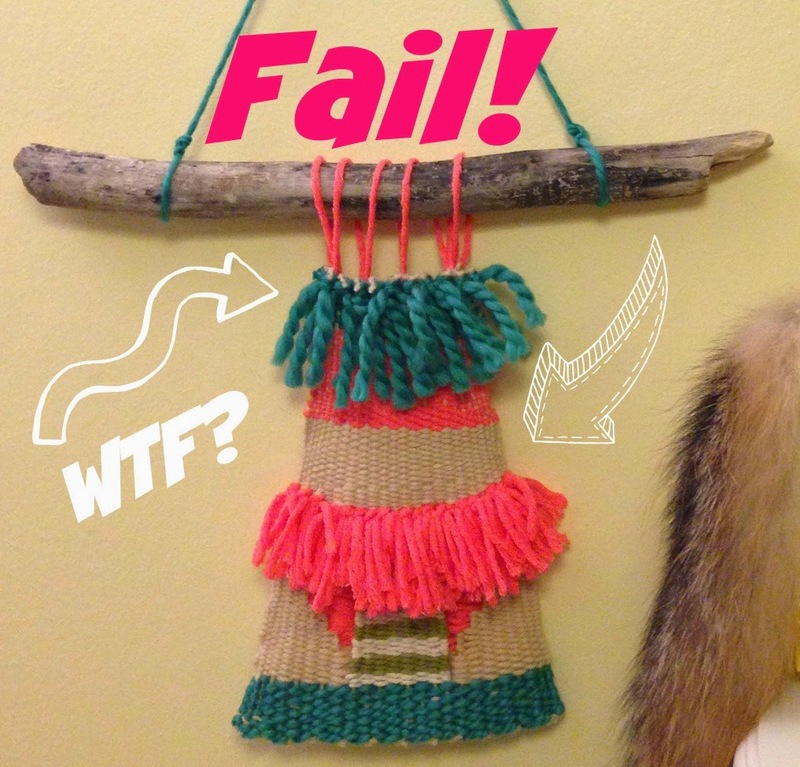 And in the end, instead of a lovely rectangular woven masterpiece, I ended up with a furry teepee. This fail is ALL MY FAULT! I probably need to be more patient. I definitely need to choose the correct materials next time. And I should also start with some sort of idea of what I want my finished piece to look like. Here's hoping my next attempt will be less misshapen! If you've got any tips or tricks on how to make one of these turn out fabulous, I'd love to hear about it in the comments! Check back for my next Pinterest-y test when I try my hand at making soap!